Apple and Microsoft, IBM and Cisco, Microsoft and Salesforce - how technology makes strange bedfellows. Following decades of mud-slinging and rivalries, the interconnected world - and the demanding consumers within it - has forged a new industry standard; that big guns must play nice with each other. As history shows, a perhaps unusual partnership between the right companies, at the right time, can turn contenders into forceful competitors, placing sudden pressure on market leaders. With the status quo now out of the window, and the desire to go it alone waning, the channel is adopting a collaborative mindset, recognising that they no longer have all the answers, or the capabilities, to navigate the path to digitalisation. Beyond vendor land, collaboration is also playing out at a partner level, with traditional competitors combining to effectively ‘get the job done’, as businesses stretch the resources of the channel. Testing the theory in reality however, ARN chatted to a range of partners across Australia, assessing the pros and cons of channel collaboration. Tech Research Asia executive consultant, Mark Iles, delves into how important collaboration is for the tech industry, especially with shifting attitudes and behaviours part due to the rapid emergence of a new breed of Cloud vendors and partners. Is the channel better together? One might think that there’s no denying that there is a need for partners to collaborate to increase productivity. ARN tests this theory with resellers, assessing the pros and cons of channel collaboration in Australia. Irrespective of size or stature, even the global players in the game can’t go it alone. ARN uncovers why Insight Enterprises are prioritising partnering. 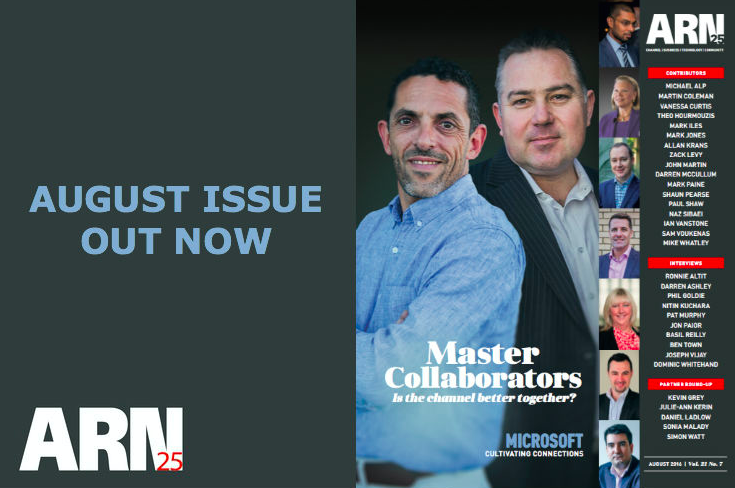 Microsoft director of Partner Development, Phil Goldie, examines the dynamic of a changing channel in Australia and how partner-to-partner collaboration should be adopted in times of change, encouraged by leading global visionaries. Insentra managing director, Ronnie Altit, explains why teaming up in the tech space revolves around the notion of trust and how resellers that remain grounded by a deep distrust of coopetition will not survive. Read more ​Is IBM’s reputation at an all-time Aussie low? This new column is the voice of the channel. Partners anonymously voice their views to uncover the real world of the channel. Exclusive Networks managing director, Dominic Whitehand, highlights how the distributor has maintained its local touch two years on since being acquired by a billion-dollar French distributor. Gartner analyst, Mark Paine, speaks about the pros of joint business planning for channel partners and how business planning with strategic vendors result in closer alignments. How can partners enable growth through new strategies and approaches? Radial Consulting managing director, Vanessa, Curtis explains how. After 17 straight quarter of losses, IBM is on the move towards a positive turnaround. ARN assesses how providing cognitive, Cloud, and choice could enable a yield of positive results. The Northern Territory might be associated with slow, remote developments but channel partners see customer demand in the region - they also speak of challenges they face in terms of staffing, while trying to diversify service offerings. Each month this column looks at partners on the upward move. These are the companies to watch. Whether it be the rise of upcoming industry players, increased vendor consolidation or new technology advancements, the traditional storage market is shaking to its foundations. This ARN roundtable discussed the importance of business continuity, and how the channel can shift the role of storage across enterprise. As the market for flash storage evolves, a new direction of travel for storage is created for the coming years. ARN examines the latest flash storage solutions and market trends, along with the growing partner opportunities in this space.